CW’s Flash has found its Wally West in Divergent actor Keiynan Lonsdale, who joins the cast as a series regular. 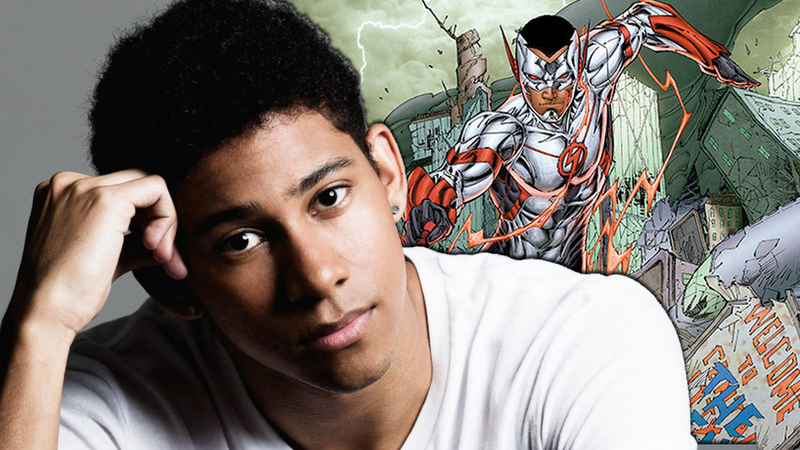 “Keiynan Lonsdale will be joining The Flash this winter in the role of Wally West, an iconic character from The Flash Universe who became the speedster known as Kid Flash,” said the CW in a statement, though it remains unconfirmed whether Lonsdale will become Kid Flash in the series, as the comic book version of Wally West did. Lonsdale’s casting puts West’s portrayal more in line with the “New 52” version of the character, who is African-American, rather than red-headed caucasian like the original Wally West. West was created in 1959 by John Broome and Carmine Infantino, and became Kid Flash after an accident similar to the one that gave Barry Allen his super speed. “Just like when we met Grant [Gustin] for the first time, we instantly knew Keiynan embodied all the heart and courage of a hero. We are so excited to be bringing this much-beloved character onto the show,” said producer Andrew Kreisberg. Flash season 2 premieres October 6, 2015 on CW.